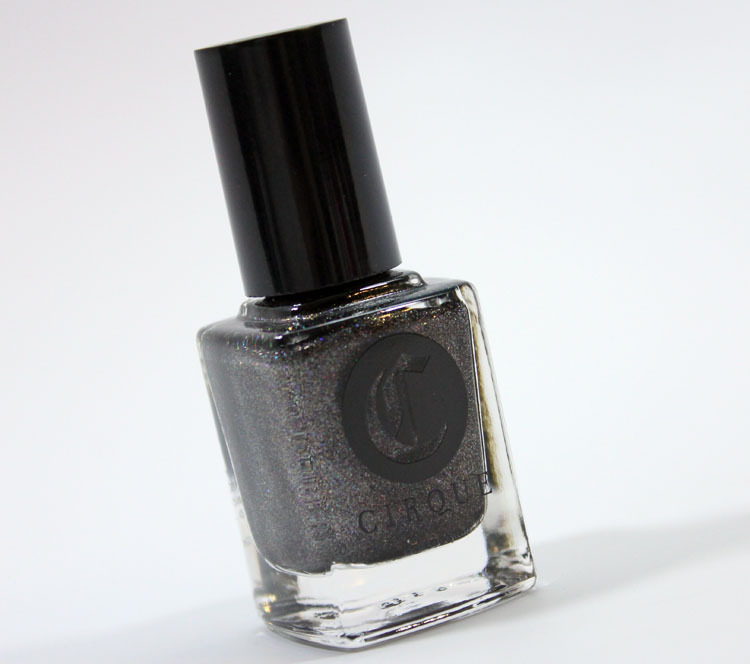 Cirque Nail Lacquer in Alter Ego was released in 2012 as part of a collaboration with a jewelry designer. The nail polish and ring were sold together, but now that the ring has been discontinued, you can buy the polish all by itself. 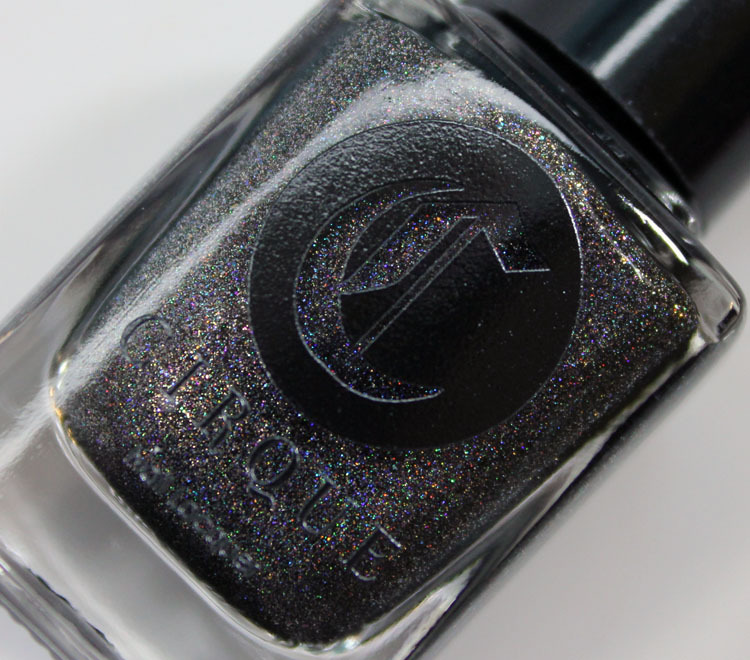 Alter Ego is a deep black with rainbow holographic shimmer. The formula is completely fantastic, as most Cirque shades are. It’s rich, smooth and covers in just two coats. See how lovely this is? 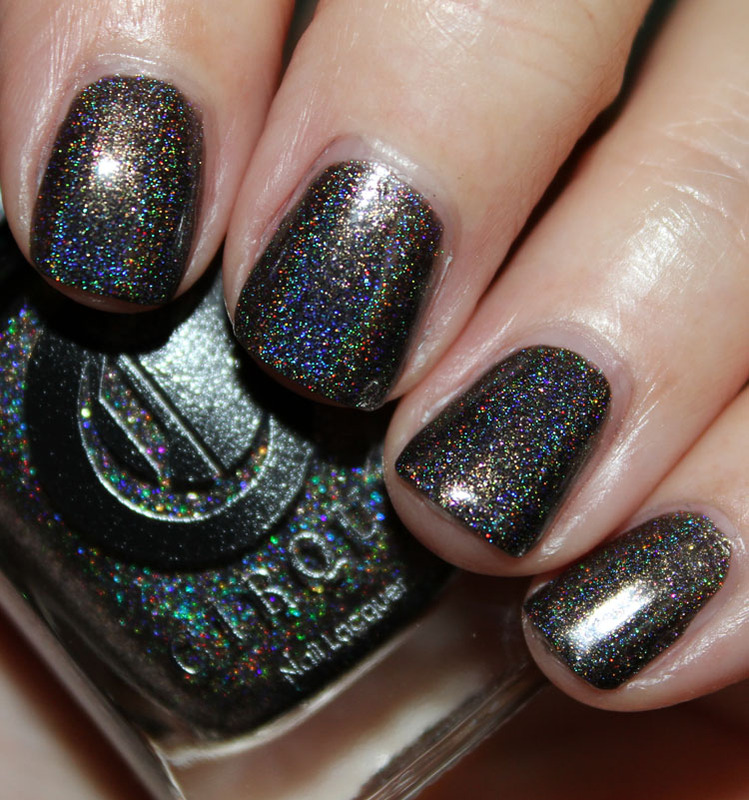 The base is a nice deep color and the holo shimmer is intense and gorgeous. Pricing: $15.00 for 0.5 oz. Will you be checking out Alter Ego in person?